When "Trading Spaces" debuted back in 2000, it didn't compete against a dozen other popular home improvement shows for viewers' attention. That's because the design-swap hit was a trailblazer. But now, after a 10-year hiatus, host Paige Davis, carpenter Ty Pennington and the original interior experts are coming back to prime time and joining a TV landscape filled with flippers, designers and shiplap lovers — and they're not worried about the competition. 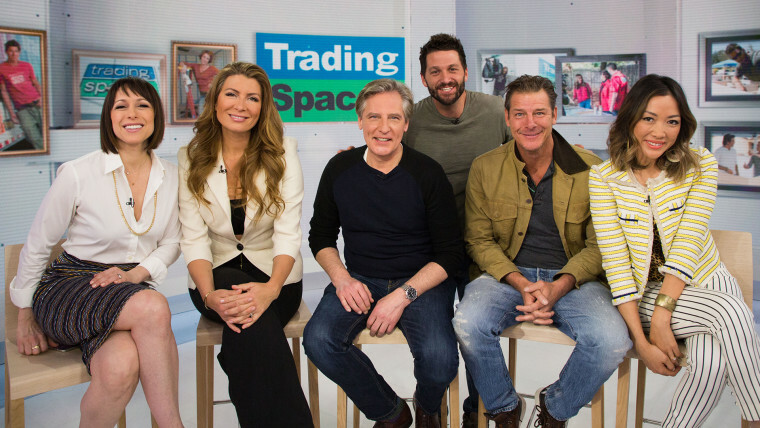 In fact, during a Thursday morning visit to TODAY, the "Trading Spaces" gang explained that they still expect to stand out from the home improvement crowd because no one else does it quite the way they do. "We kicked off this genre and even though we spawned so many other, frankly, networks and television shows, there's still nothing like our show," Davis said. "The level of jeopardy, the level of time constraint and budget constraint — $2,000 in each room." It's all unique to their original format, which they intend to keep following. "There's a lot of fantasy design television out there," she added. "But people out there don't have $450,000 of chump change." But it's not just the budget-friendly aspect of the show that's sure to keep fans tuned in. According to Pennington, it's also the mystery of each week's endeavor. "Here's the thing about 'Trading Spaces' that I think is amazing: The format really, really works," he said. "It's such a variety pack of talent and style and tastes, so you really never know what you're going to get because we have no idea if the people we designed it for are going to like it." And as anyone who ever watched the series back in the day can attest, often subjects of the show don't like the design — and those flops are just as much fun as the fantastic reveals. To gauge just how excited fans are about the show's return, look no further than the trailer for the upcoming season, which has been viewed more than 10 million times — so far. And the stars of the series are just as excited. "We didn't think about it at all," Pennington said of the revival. "We just knew we're getting back with our old family. We're like, 'You know, if everybody's going to be there, yeah, let's do it.'" Or, as Davis put it, "The band's getting back together. Let's go on tour!" "Trading Spaces" is back Saturday, April 7, on TLC.